ARUCAD > Duyurular > Asst. Prof. Dr. A. Ceren Asmaz’s “Inner Monsters” exhibition is opening. Asst. Prof. Dr. A. Ceren Asmaz’s “Inner Monsters” exhibition is opening. 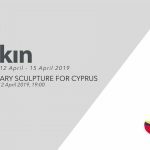 Art Rooms Gallery will host an exhibition of Arkin Creative Arts and Design University’s lecturer Asst. Prof. Dr. A. Ceren Asmaz’s “Inner Monsters” between the dates 6th-28th of February 2019. You are invited to the opening cocktail on Wednesday the 6th of February, at 18.00 PM.